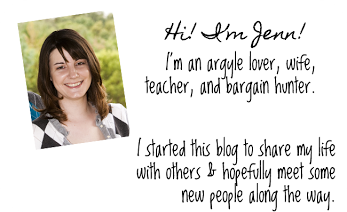 Oh yeah, I have a blog! Here are some random updates and thoughts for Friday. I've been busy ever since school started again. We had school 13 days in August and I worked 8 of those days. It would've been 9 days if I hadn't had a dentist appointment. I'm hoping this continues and I'm busy all year. So far, it looks good! We had a family gathering for Labor Day last Saturday. We played Apples to Apples for the first time in a long time. I forgot how much fun that game is! I got an expansion pack on clearance at Target awhile ago and adding those new cards in made the game even more fun. One of the cards was Benedict Cumberbatch! I took advantage of the Labor Day sales over the weekend and hit up the outlet mall. It was crowded, so I didn't shop as much as I would've liked, but I did manage to score 2 new cardigans for less than the price of 1 at the Gap store. I'm so happy that Doctor Who is back! I'm really loving the new Doctor. Of course, it helps that I already loved Peter Capaldi. I didn't really like last week's episode, but I'm looking forward to this week's episode. This line felt very Malcolm Tucker to me. I like it! I've had some really good luck at winning things this week. I won 4 gift cards on Crowdtap for participating last month. That's the most I've ever won in a month. I also finally won a blog giveaway. Have you ever had any luck winning giveaways?